Yahoo will soon stop letting users access its online services, such as Flickr and Fantasy Sports, by signing-in with their Google or Facebook accounts. A Yahoo spokeswoman said this change will be rolled out gradually, and will require users to have a registered Yahoo ID to access its services. 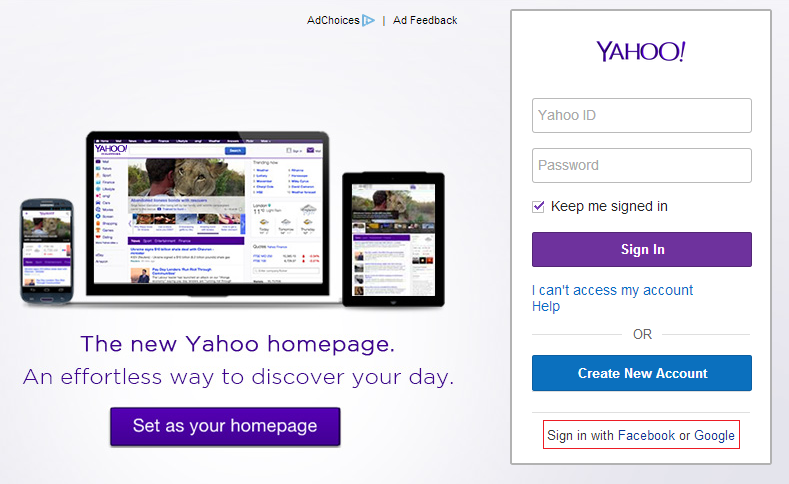 Yahoo’s sign in page currently allows users to sign in using their Facebook or Google accounts, but these options could be going away soon. 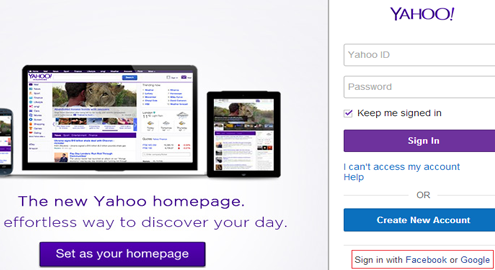 Betanews first reported the sign-in change for Yahoo Fantasy Sports. “In March, Yahoo Fantasy will begin asking everyone to sign in with a Yahoo username to access their teams, rosters, brackets and more. Eventually Facebook and Google sign-in options will be removed”, Yahoo said. 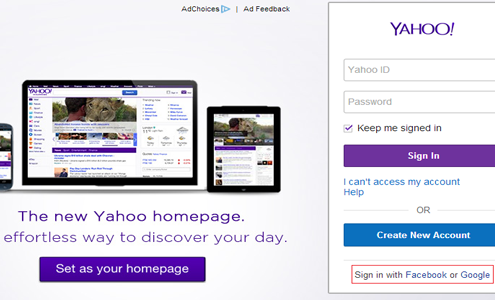 While Yahoo says this is a move to provide a better experience for their users, it also allows them to collect user data and track their activity across their services and websites. Many have been viewing Mayer’s decision to remove these sign-in options as a reversal of Bartz’ strategy, but based on Bartz’ statements in 2010, it could actually be a continuation of the former CEO’s policies.